That thing on the front of the Xbox One? That's a sticker. You can take it off. Some of you right now are wondering why this needs to be said. Others of you, well, you're not alone. A lot of people haven't taken this sticker off their Xbox One for some reason. 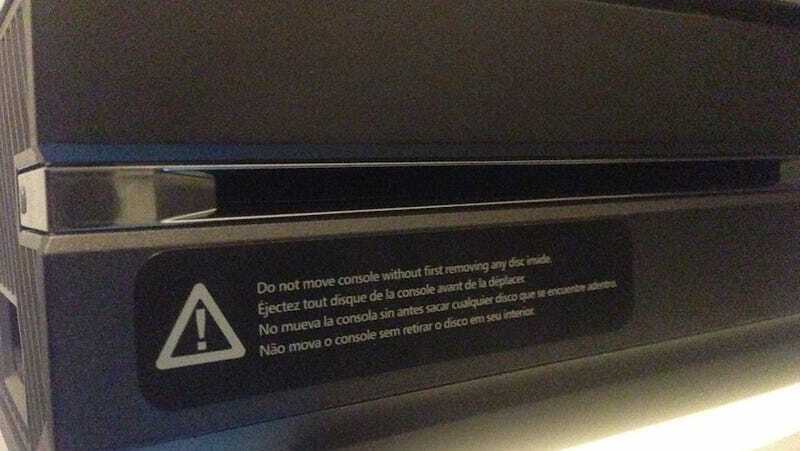 Why are so many people keeping this sticker on their console? 1) They think the console looks a bit naked without it. 3) They don't realize it's a sticker. Whatever the reason may be, it's okay to remove it. Really. It's not like one of those mattress tags. And, really, how many times can you read the same warning, no matter how many languages it's in?